It looks like Vitamix but it’s not Vitamix. 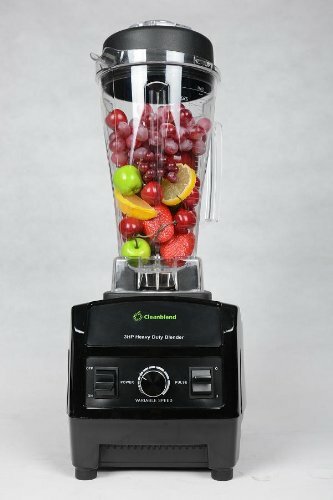 The Cleanblend Commercial Blender certainly looks like the Vitamix though. It also has a 1800 Watt motor, more than the Vitamix. But how well is its performance? How does it fare with the Vitamix? Let’s find out. Cleanblend is better known as the cheaper alternative to the Vitamix. It even looks the same (specifically the 5200 model. You can read my review of the Vitamix 5200 here). The base unit is the same square black box. The control panel has the same look with the switches on both sides and a variable speed knob on the center. Both of the blenders has the same tall slender pitcher. I’m not really sure the need to copy the look of a very popular model to be honest as it’s not really ethical to copy anyone’s design. But then, Cleanblend differentiates this unit with an awesome powerful motor that should make some very satisfying smoothie and it costs half of the Vitamix! Now let’s look at how these two blenders compare to each other. As you can see from the table above, the Cleanblend and Vitamix 5200 are comparable in design and function. Both only has the variable speed function and the pulse function (quite a let down really.. I would have love a preprogrammed settings – a touch touch button for the most common recipes like smoothie, soups, etc). They are similar in pitcher, base design and are equally tall (both may not fit under your kitchen cabinets by the way. So most likely than not you would have to detach the pitcher and the base to store it). The things that set them apart are the motor speed, warranty and price. 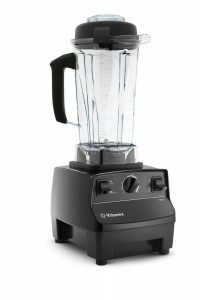 The motor speed of the Cleanblend is rated at 2.4 HP or 1800 Watt while the Vitamix 5200 is rated 2 HP or 1400 Watt. At first glance, it seems that Cleanblend has won in this aspect but I need to stress that motor power is not the only thing that will determine a good performance blending. 2 other major factors are the blade design and the pitcher design. How the blender will successfully circulate ingredients to pulverize ALL ingredients are the key factor for a good blending, and for your silky smooth smoothie. The huge amount of motor power is certainly welcomed but not really necessary in my opinion. After all, Vitamix, Blendtec and Breville all has about 1500 Watt of power only and they produce the best smoothies ever. Going by this, the extra 300 Watt in the Cleanblend is nice to have but not really necessary. The other things that set them apart are the warranty and price. The Cleanblend has 5 years warranty while the Vitamix 5200 has 7 years. This is not surprising as the Vitamix is the pricier of them and its only reasonable for it to have a longer warranty period. The price is where both blenders really differs. Cleanblend wins hands down on this aspect as it is much cheaper (about half) from the Vitamix 5200. Clendblend 3 HP 1800 Watt: Is 3 Horsepower (HP) Equals To 1800 Watt? 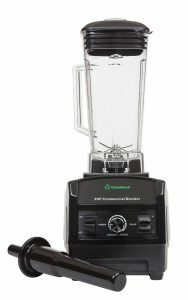 One thing that really irks me is the advertisement by Cleanblend that their blender is rated for “3HP 1800 Watt“. HP and Watt are both unit for power, the former is for imperial unit while the latter is metric unit. Now the statement by Cleanblend is not correct at all because 1 HP equals to 745.7 Watt. So a 3 HP motor should equals to 2237 Watt. But the blender motor is rated to 1800 Watt only (as evident from its electrical tag), so the real HP should be 2.4 HP (see the screenshot below from Google converter). This conversion shows that the real/normal power of the Cleanblend’s motor is only 2.4 HP, not the 3 HP that Cleanblend advertised. The 3 HP is the peak power and only instantaneous during the start of blending and during pulsing. The 3 HP figure is most likely the peak/instantaneous motor power at the start of its operation and during pulsing. After some time, the motor power will drop down to about 80% of that which is around 2.4 HP (1800 Watt) for the remainder of the blending. And this is the normal operating power of the blender. Now, 2.4 HP is a very respectable number for a blender motor but Cleanblend’s marketing ploy by putting the 3 HP figure on the blender’s advertising is very misleading. It’s a bit sad that they have to do this even though other brands also do the same thing. I feel that these corporate guys should advertise the right thing so that us customers can do a fair comparison for our purchases. Cleanblend Quality Problem Or Just Lemons? Looking through Amazon’s review section of the Cleanblend, it seems that there are many quality issues with the blender. Some people have reported burn out motor after a few uses while some have reported leakages through the blade assembly at the bottom of the pitcher. But, there are about 70% of the reviews that are completely satisfied (5 stars) with their purchase. This pattern is a bit confusing really. But after some digging, I’ve found out some possible reasons for these issues. The Cleanblend is made in China, and it seems that the company does not have an adequate quality control process before shipping to customers. It is cheaper to manufacture there of course, but then you got to be very careful so that no lemons can get through to your customers. And besides, the high powered motor could also be the cause for all the faulty units. Since it’s wattage is high, it will require more current to operate and thus it’s chances of burn out is more than say a lower wattage blender. With these problems, the question of the durability of the Cleanblend is there. Fortunately, Cleanblend has 5 year warranty plan that will get you covered in case you get the dreaded lemon unit. Their customer service also is quite efficient in processing the claims and sending replacement to their customers. Now that’s something that all blender manufacturers should emulate. You can watch the really nice video below on how to operate the blender to make a delicious green smoothie. Simply put all the ingredients into the blender, start blending from low speed and then speed it up to max. After less than one minute, a silky smooth smoothie is ready to be served. 3- Lots of defective units based on many Amazon reviews. Fortunately there is the 5-year warranty and Cleanblend’s customer service is efficient in processing the claims and replacements. All in all, Cleanblend Commercial Blender is a very powerful blender with its 1800 Watt motor. It do not just look like it’s clone (Vitamix 5200), it also performs almost like it, at half of its price! A major problem is Cleanblend’s questionable quality control but the company has responded by providing a long 5 years warranty for its customers. It is up to you guys to decide whether it is worth it to spend your money on a Cleanblend, or you would rather spend more than twice that amount for a Vitamix 5200 or its more recent model, the Vitamix Professional 750 for a tried and tested quality. I hope you gain some insight on the Cleanblend Commercial Blender from my review. Click the link below to check out the best price on Amazon.